Research has shown that the facial injuries can be very dangerous during contact sports. 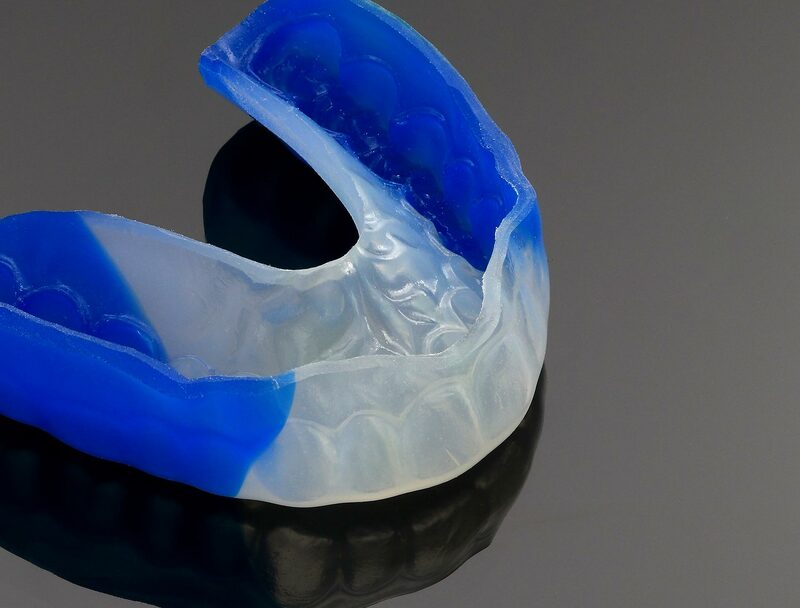 Hence sports Mouth guards are strongly advised for children and adults playing contact sports to protect their teeth and jaws. A short appointment can be made so that our dentist can take impressions of your teeth, this enables a professional and custom-fitted mouth guard to be worn which is recommended by the Australian Dental Association. Many people have grinding or clenching habits which leads to severe tooth wear, headaches and TMJ (jaw joint) problems. This para functional habit is called as “Bruxism”. The symptoms of the Bruxism can be controlled by Night guards (Occlusal splints). Our dentists can examine you and provide the suitable splint for you. Snoring is a symptom of Obstructive Sleep Apnoea which can have severe effects on your health and lifestyle. It occurs by narrowing of the airway which results in interrupted sleep and many other serious health conditions. The Obstructive Sleep Apnoea must be diagnosed by a sleep specialist to rule out any other problems. Mandibular Advancement Splint (Snore Appliance) is used to solve the Snoring and Sleep Apnoea Problem. This device repositions the lower jaw and associated muscles, increases the muscle tone and stabilises them to open the airway. Our dentists examine you and your jaws carefully and advise you if a suitable Snore Appliance and help you change your life style.